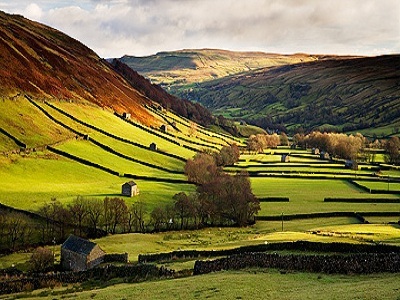 Swaledale is home to England's highest pub, the Tan Hill Inn, at 1,732ft or 527m above sea level. The area is another lovely Yorkshire village, but with a more peaceful and relaxed tone than the hotspots of Richmond of Wharfdale. A lovely remote area with lots of great walking and views and a pub visit certainly not to be missed! !